All transactions are safe and secure with a reliable history in online purchasing behind each of our associates. Buy the Jesus Quintana t-shirt to own Big Lebowski clothing and merchandise. The front of this Big Lebowski t-shirt celebrates the legend that is Jesus Quintana, the eccentric, Latino, trash-talking bowler who is scheduled to compete against The Dude and Walter's team in the league semifinals match. Jesus confronts the team several times before the match, reminding them that nobody messes with the Jesus. In one of the most memorable shots from the movie, Jesus holds his ball to his face and gently licks its polished surface. Then, after methodically bowling a strike, he does a victory dance a la Muhammad Ali. 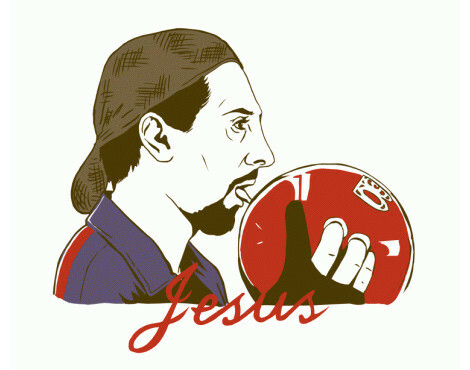 In addition to the Jesus Quintana tee above, browse the Big Lebowski Clothing Gallery for more apparel like men's and women's clothes, kids shirts or hoodies.